Social media is never static. It is an an ever-changing array of tools and platforms built for any number of purposes. Over the last 5 years social media has changed the world in innumerable ways. From becoming a resource for activists to showing us the earth as we had never seen it before, each year brought new social networks with new purposes. 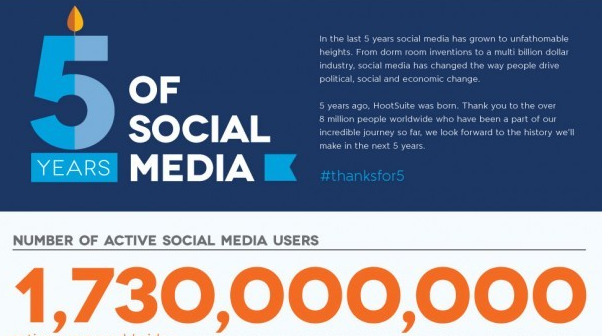 The following infographic by hootsuite offers a snapshot of the last 5 years of social media, how it has evolved and impacted our lives.